175 gluten-free recipes for fast, delicious meals the whole family will love using the latest must-have kitchen appliance—the air fryer! It’s no secret why the air fryer is the hottest new kitchen appliance—it offers a quick and healthy cooking option for busy families, and its convection power makes it easy to cook a wide range of foods from steak to tofu, bacon to vegetables, and even desserts. And as the “I Love My Air Fryer” Gluten-Free Recipe Book demonstrates, it’s even perfect for those following a gluten-free diet! 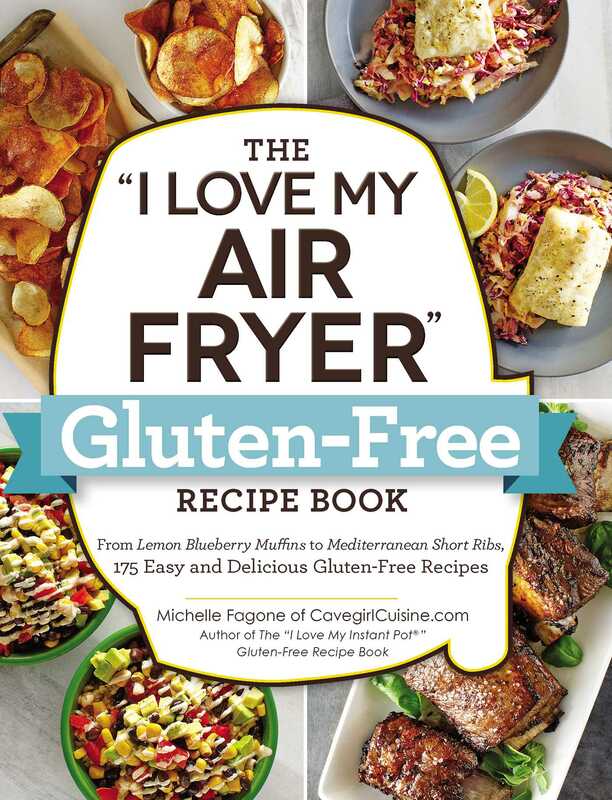 Featuring 175 gluten-free recipes—with photographs included throughout—this cookbook is a must-have for air fryer fans with celiac disease, gluten intolerance, wheat allergies, or those who simply enjoy a gluten-free diet to improve their overall health! Learn how to make satisfying, whole-food dishes for every meal from breakfast to dinner, appetizers, to side dishes and desserts—plus great snacks. Discover how easy and delicious it is to follow a gluten-free diet thanks to an air fryer with “I Love My Air Fryer” Gluten-Free Recipe Book!